CADWOLF is a web based collaborative engineering platform. Users create web pages and then add text, equations, plots, free body diagrams, loops, and a number of other items. All of this is done interactively within a web browser with no coding and nothing to download or install. Our part tree system provides a mechanism for users to create a part numbering scheme and then create parts that each have a document where the design of that part is carried out. This provides not only a mechanism to organize the design of large structures, but also a way to see the real time status of items like Weight, mass, and volume from both the design documentation as well as the CAD models. Workflows then pull all of this together by providing a place to collaborate through the process of engineering a large structure. Subscription that costs about $12 per month. Price may vary depending on commitment and so on. 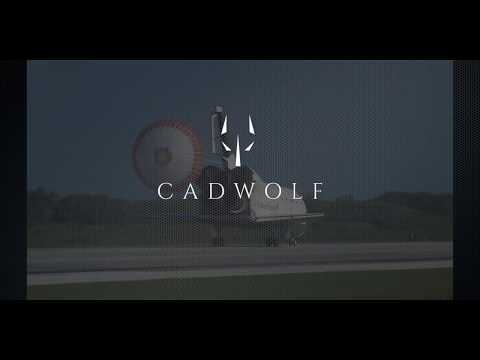 CADWOLF was added by joshuafoxworth in Jan 2019 and the latest update was made in Jan 2019. The list of alternatives was updated Jan 2019 There is a history of all activites on CADWOLF in our Activity Log. It's possible to update the information on CADWOLF or report it as discontinued, duplicated or spam. Alternatives to CADWOLF for Windows, Web, Linux, Mac, Android and more. Filter by license to discover only free or Open Source alternatives. This list contains a total of 9 apps similar to CADWOLF. No reviews yet for CADWOLF, want to be first? Maybe you want to be the first to submit a comment about CADWOLF? Just click the button up to your right!